Today I have something different for you again. This is contemporary with an existential kind of feel to it. Go on, let’s just try everything we can right? OK, here we go. 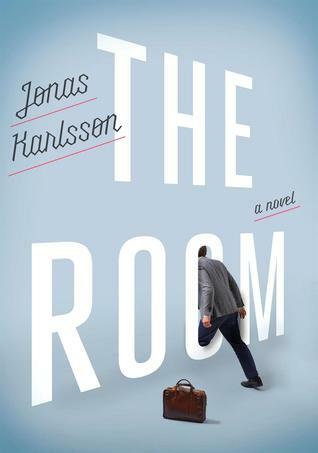 Funny, clever, surreal, and thought-provoking, this Kafka-esque masterpiece introduces the unforgettable Bjorn, an exceptionally meticulous office worker striving to live life on his own terms. Bjorn is a compulsive, exacting bureaucrat who discovers a secret room at the government office where he works–a secret room that no one else in his office will acknowledge. When Bjorn is in his room, what his coworkers see is him standing by the wall and staring off into space looking dazed, relaxed, and decidedly creepy. Bjorn’s bizarre behavior eventually leads his coworkers to try to have him fired, but Bjorn will turn the tables on them with help from his secret room. Author Jonas Karlsson doesn’t leave a word out of place in this brilliant, bizarre, delightful take on how far we will go–in a world ruled by conformity–to live an individual and examined life. I was originally drawn to this book after reading a review on Marina’s blog, Finding Time to Write. I thought it sounded interesting and I put it on my very long to-be-read list, which is just a long list of books I want to read but will probably not get around to because it is that long, list – on Goodreads. Anyway, I was in Waterstones, a UK-based bookshop, with a friend when I spotted the hardback version of this book and I had no qualms about picking it up and buying it. It didn’t take me long to read because it’s not a long novel at only 167 pages. I absolutely adored the cover. Mine is crisply white, but I didn’t put that cover up because of the white background on the blog. It’s simple and clean. I was hooked before I’d even read a word. The novel itself is told in first person narrative from Bjorn’s point of view just as he is moved from one job to another at the Authority. A government office where he does boring mundane tasks. The observations of his fellow co-workers are amusing as it gives you a real insight into Bjorn who is a loner. A perfectionist. A little OCD. He also sees himself as being made for better things. He has a belief in himself that is not yet realised. And he believes others should be able to see it in him and it frustrates him that they don’t. It is then that he finds this room in the corridor on the way to the toilets. While he’s in there he doesn’t feel stressed about the office life or politics and starts to make regular visits. Only the rest of the office staff don’t see the room and only see Bjorn stood in the corridor completely still and staring off into space. They try to get him fired. It’s a wonderful book. Especially if you’ve ever worked in an office because you will recognise the way things work or the odd person in there or even if you haven’t, it will amuse you to see it at work. The writing is wonderful and it’s a translated book so credit has to go to Neil Smith for such great work on the translation because it is such a clean read. To see what happens when the office staff turn on Bjorn and his room and to find out how he reacts, I’d recommend reading this little book. It’s unique and definitely worth a night of your time. Well, it can’t have gone too badly last month, because Gene’O has let me loose on the blog again – or maybe he just forgot to revoke my access, but let’s not remind him, I quite like it here. 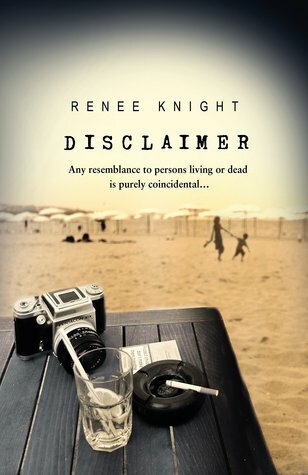 Last month I reviewed Disclaimer by Renee Knight, a book in the crime fiction genre. A genre I strongly identify with. But, you may not, so I have to be conscious of that and mix it up a bit and that’s what I’m doing this month. Today we are looking at something that something that isn’t very common but is starting to gather momentum. Series fiction. It works just like a television series. It’s shorter than a novel and progresses the story, but leaves you with a cliffhanger so you buy the next one. Let’s have a look how it works…. A journalist wanders the horrible reality of an empty New York in search of his wife and son. A mother shields her young daughter from danger, though every breath fills her with terror. A bullied teen is thrilled to find everyone gone. Until the knock at the door. A fugitive survives a fiery plane crash. Will he be redeemed, or return to what he’s best at: the kill? 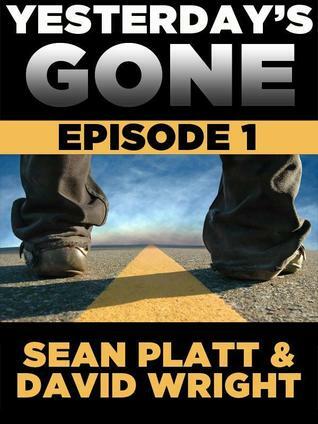 An eight year old boy sets out on a journey to find his missing family. What he finds will change him forever. First of all, I don’t usually read much in the post-apocalyptic vein (I find it even grimmer than crime! ), so this whole experience was going to be new to me and I didn’t know what to expect. The way it’s set out is in the conventional way of a book – with chapters. And, in this case, each chapter was from the point of view of a new character as they woke or realised they were alone in the world. Initially, I found it slow to get into. I don’t know whether that was my mindset about the book, genre, serialisation aspect, format of knowing I had to work my way through a cast of characters and not knowing if I would remember them all, but as I continued to read, I found myself wanting to read on, wanting to know what came next, or what or why it had happened. Maybe the next paragraph would be able to explain a little more, or have a little tidbit in it. As we came around to meeting the characters again, I suddenly found I was engrossed. I was watching the percentage meter on my Kindle telling me I didn’t have a huge amount left to read and yet I wanted more. Where had everyone gone? What was this creepy thing that was happening? Come-on authors you can’t leave me hanging like this! Yep. That’s right. I am hooked. Serialised fiction, if done well, can really work. Apparently this had about 100 pages in it, so you’re not being held hostage over a few pages, it’s a third the size of a lot of novels. I only intended to read this first one for this review, but I think I might find myself going back for the series one box-set. If you buy on Amazon, the first book is free and the first box-set (season one) is free. It’s a marketing tool to hook you in, the authors aren’t shy about admitting that. But that’s the whole point of serialisation, to make you want the next one. Here’s a trailer they made for it and what the readers say, pretty much sums it up. For the (price) of a free book, what do you have to lose by checking out what you think of serialised fiction or this post-apocalyptic series? Well, I’m here. It starts today. My regular posting feature. Well, as regular as Gene’O allows me to be! Before I jump in to what I’m here for I want to do a very brief hello kind of paragraph (or three as it turns out), because it seems rude not to, and then I’ll get on with it. Most of you will have already probably seen the post Gene’O put up introducing me, so I’ll keep this short. I’m Rebecca Bradley and I’m a crime writer and obsessive tweeter and blogger – other platforms then lag behind, though I’m now trying to build my YouTube presence. Did you know YouTube is the second biggest search engine behind Google? I’ve just released my first novel, I’m an avid reader of multiple genres, I run various themes and series on my blog as Gene’O does and I generally meet myself coming backwards. Why am I here then? To talk about books! I’ll talk about any kind. I have a NetGalley account which is a place where book reviewers have access to titles before they are released. I also borrow from the library, buy books from bookstores and buy more books than I’m ever going to read and load them onto my kindle. So, shall we get on with the show? Please don’t boo me off… I’m starting with crime, but it won’t always be crime. This was one of my Netgalley reads, so thank you to them, the publisher and author for my copy. Disclaimer is not released until 9th April. As you can see from the quotes above the official book blurb, this has a lot to live up to. It’s been compared to the hit of 2011, Before I Go To Sleep, which last year was turned into a top Hollywood film starring Nicole Kidman. So no pressure then. It’s told in alternate chapters between Catherine Ravenscroft, in third person narrative, who is living a wonderful life with her husband. They appear to be fairly well set up financially, they both have good jobs but their son has issues. He has had a drug problem in the past and is just holding down a job in a store as a salesman. The other chapters are first person narrative from an old man called Stephen. They’re sad chapters to read. All is not good in Stephen’s world and at first we don’t know how the two different chapters connect. Catherine recognises herself in a book she reads, and this is where her world starts to crumble. She doesn’t understand how this has happened or how the book came into her house. She becomes jumpy as the ending of the book is not a pleasant one for her character. To try and hide from what is happening she burns it but her husband catches her and becomes suspicious of her behaviour. We then start to see how the two alternating chapters work together. So it’s a bit of a slow start. But when you do learn what has happened and what is happening you want to keep turning the pages. The narrative voice of the novel is beautiful, it keeps you hooked. It’s smooth and sensory. The twist at the end is not pretty. It’s ugly and makes you squirm. it’s certainly not what you expect. I just wish Knight had finished up sooner. She spends too long tidying up and it detracts from the novel, gives you too long to calm down and come to terms yourself with what happened. A shorter tidy up of characters lives afterwards would have left you thinking about this long after you finished it. If you like to sit down with a well written psychological crime novel, this is a great read with a fantastic premise. Now I have to go off and wonder about what to read for next month and I’m looking forward to coming back!